I'm selling my 74 FORD, 302, automatic, PS, been sitting in the garage for about 10 years, I started it every year and let it run for 15 minutes to keep it from seizing. Last year Holley flooded over and hasn't been run since, will run with carb work that the new owner can do at HIS place. Engine ran well when I first got it, but each year ran a little rougher, maybe OK with a tune? Maybe rebuildable core? I took this in on trade and have never driven it on the street, usual rust, solid frame rails, decent floors, most of rust is in the rocker panels. $1500, clear title, located in Missouri 65040 bring cash and a trailer with winch. Be reasonable on your driving distance to pick up the van, it's a project! Prefer to sell for $$$ may do some trading on pontiac heads, blocks, GTO / firbird parts. Only available on weekends.Have more pictures on my computer. Did you ever sell this Van? Thanks. Looking forward to getting back into vanning, been out of it for many years. So far I havent gotten any replies on the Van's that are for sale. Naw seriously a lot of flippers out there ... they swoop them up 15 min after posted. The van for you will find you, ya just have to be ready/ cash in hand/ to jump on it. Keep pestering the seller, if ya REALLY want it .... the squeaky wheel gets the oil ! Yes , thank you frscke 1 , for the advice. 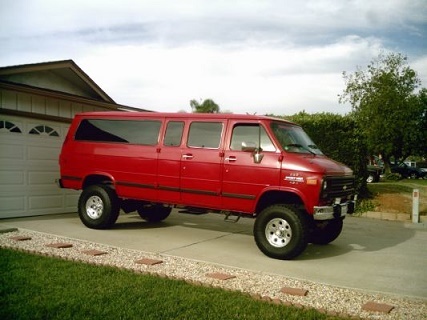 I too have been out of vanning for 40 yrs and more than ready to come back , looking to buy.